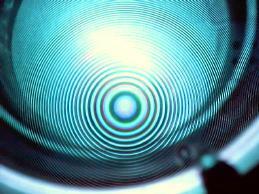 Basic optical system is composed of dual pressure chambers with 7.5 cm Fabry-Perot Etalons. 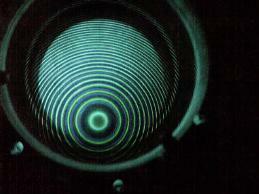 Above the chambers there is a H-Alpha filter to limit bandwidth to desired values. Below there is a camera lens and CCD imager. 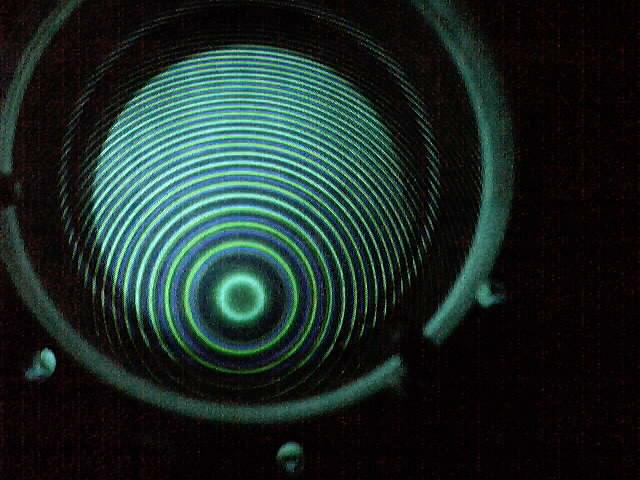 Sample fringe patterns produced by a Hg lamp as seen from top side of the etalon holders illuminated from bottom during alignment of spacers (200 and 150 A) at atmospheric pressure.